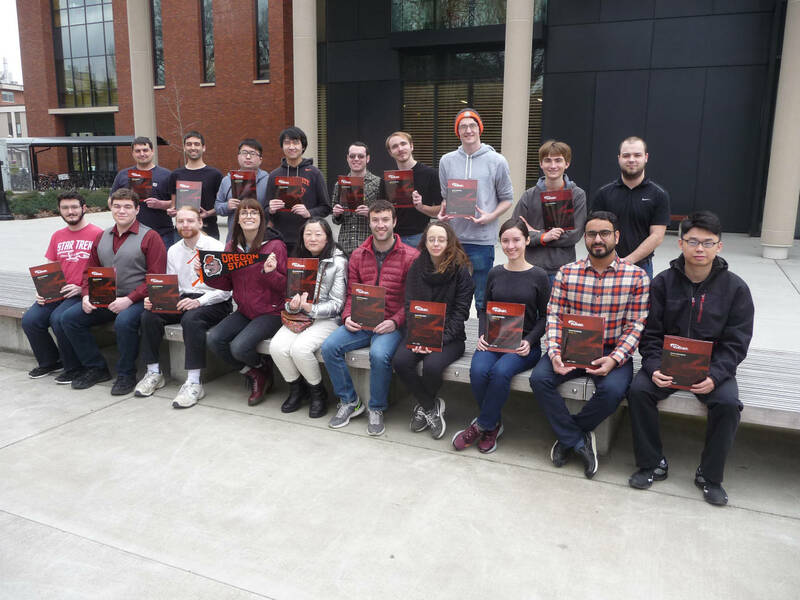 Khronos was pleased to receive this photo of the 2018 Winter Quarter Vulkan class from Oregon State University, taught by Mike Bailey, Professor, Computer Science. Oregon State U is an Academic Member of the Khronos Group. Best of luck to the entire 2018 Vulkan class! The final project at University of Pennsylvania, CIS 565: GPU Programming and Architecture has brought us Vulkan Forward Plus Renderer. The original idea came from this paper: Forward+: Bringing Deferred Lighting to the Next Level. In this project the students created a Forward Plus (tiled forward) renderer in Vulkan using compute shader to deal with light culling. A lot was learned from Alexander Overvoorde's Vulkan Tutorial and many other places. The project is available on Github along with a complete behind the scenes story, benchmarks and videos. A paper recently published by the Astronomical Society of Australia on how GPGPUs are dramatically changing the landscape of high performance computing in astronomy.This paper identifies and investigates several key decision areas, with a goal of simplifying the early adoption of GPGPU in astronomy. The merits of OpenCL are considered as an open standard in order to reduce risks associated with coding in a native, vendor-specific programming environment, and present a GPU programming philosophy based on using brute force solutions.